For the last 20 years, we at Automation Supply have supplied you with the full range of gate automation products from such manufacturers as, Nice, Faac, Erreka, Beninca, Ditec, Serai and Came. As we are an independent distributor of gate automation equipment; we select the best in category so that you have the most effective system operating your electric gates. We can offer an automation system to suit all types of budget and situation. A wide range of equipment is available off the shelf including electromechanical operators, hydraulic underground and surface mounted motors. 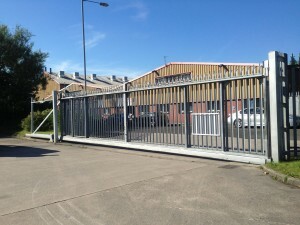 Sliding gate motors are also a stock item, with proven and tested units for gates weighing up to 6 tons. The vast range of products we are able to stock means that all factors can be overcome such as gates with high wind resistance and gates that are situated on a slope or incline. 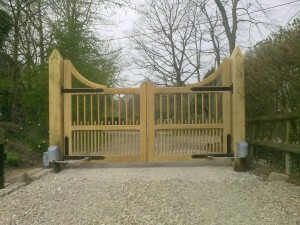 Full range of hardware for constructing gates is now available. We stock all hinges for wooden and steel gates, stops, wheels, rollers, track and cantilever systems. A huge range of transmitters are readily available so you can add additional units to your existing gate automation system. We also stock radio systems that produce a Weigand output to interface with card access systems. The access control range offers token, card and biometric entrance systems which can all be integrated with CCTV, fire alarm and building management systems. Even our ranges of various intercom systems are designed to provide a solution to a wide range of installations. Audio, audio/video, wireless and GSM units are all available off the shelf. 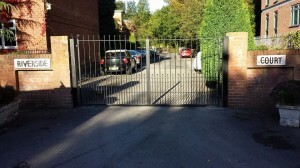 Electric Gates Supplied & Fitted in and around Manchester and Cheshire.